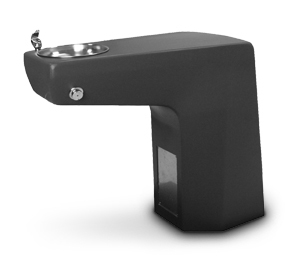 Perfect for parks, trails, sports fields or any outdoor area, this ADA compliant concrete drinking fountain is built to last. Made with reinforced 1/4" steel rebar and Portland cement ASTM C 150. Available in your choice of Exposed Aggregate or Weatherstone finish in a variety of concrete colors. Plumbing included. Unit arrives fully assembled.